Despite what you might think, nobody’s born with great parenting skills! Those parents you admire most learn those skills from experience. You may also be catching parents that you admire during their best times. You know. The times you feel like a great mom and your kids are following instructions miraculously. Watching other parents and learning from your own experiences are excellent ways to enhance your parenting skills. Yet, it’s sometimes unnerving when you think about parenting. Kids need so much attention! And as a parent, you’re fully accountable for their well-being. That’s a heavy load to carry, especially for a first-time parent. The good news is that if you take it in stride, you can master the art of effective parenting. 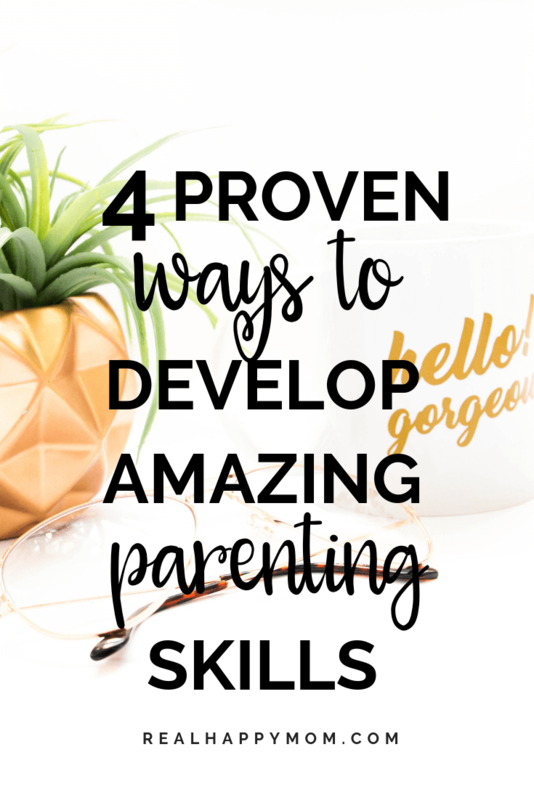 Try these strategies to develop awesome parenting skills. As a new mom, it’s pointless to try to reinvent the wheel! Sure, you probably want to be known as “the world’s best mom,” but it has already been done many times before. Trust me. 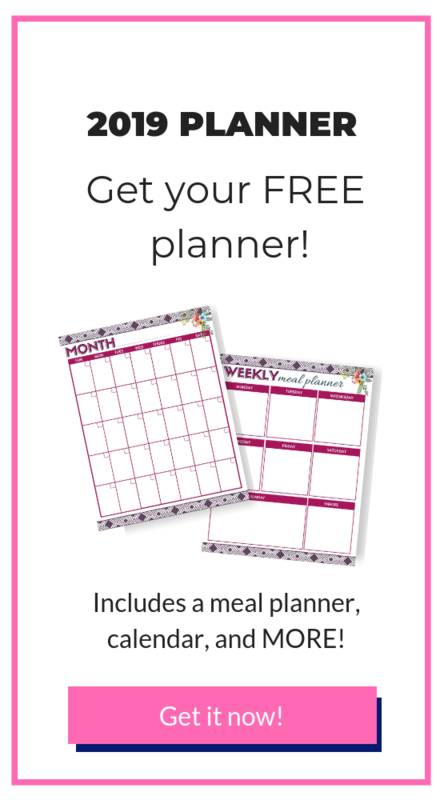 Try spending some time with friends and family members that are moms and to see how they handle parenting scenarios. You can pick up some quick tricks to make parenting easier in your house. I remember watching one of my friends with their daughter. She was starting to act up and instead of fussing at the little girl, my friend said “I love you. Don’t do that.” Even though the little girl whined a little more, I love how instead of fussing they say I love you. I use this strategy with my oldest whose love language is completely different from his brother. When my oldest knows that I am not mad at him he tends to not let his tantrums get out of control. If you’re stressed out about a parenting issue, call up a friend who’s a fellow parent to get advice. They can tell you how they’d handle the situation. Not that you don’t have to use their advice totally. But, use that guidance to help with the solution for you and your kids. Lastly, check around to see if there are parenting groups in your community. These groups can help you develop the kind of leadership skills needed for effective parenting. Communication is crucial for any type of relationship. Communication with your little ones is just as important as communication with your husband or your boss. Even when your little one can be downright irritating, be ready to communicate. Don’t forget that you’re fully responsible for your child. For that reason, it’s not a good idea to be the one to shut off. Encourage your kids to talk to you regardless of the situation. They have to know that you’ll be supportive and listen to them even if it is about the toy you just fixed and is now broken again. Kids tend to hold back when they feel their parents might not understand or might not listen to them. With the internet and information being at our fingertips, it is so easy to find information. Take some time to see what some other parents are doing that help them to be more effective with their little ones. 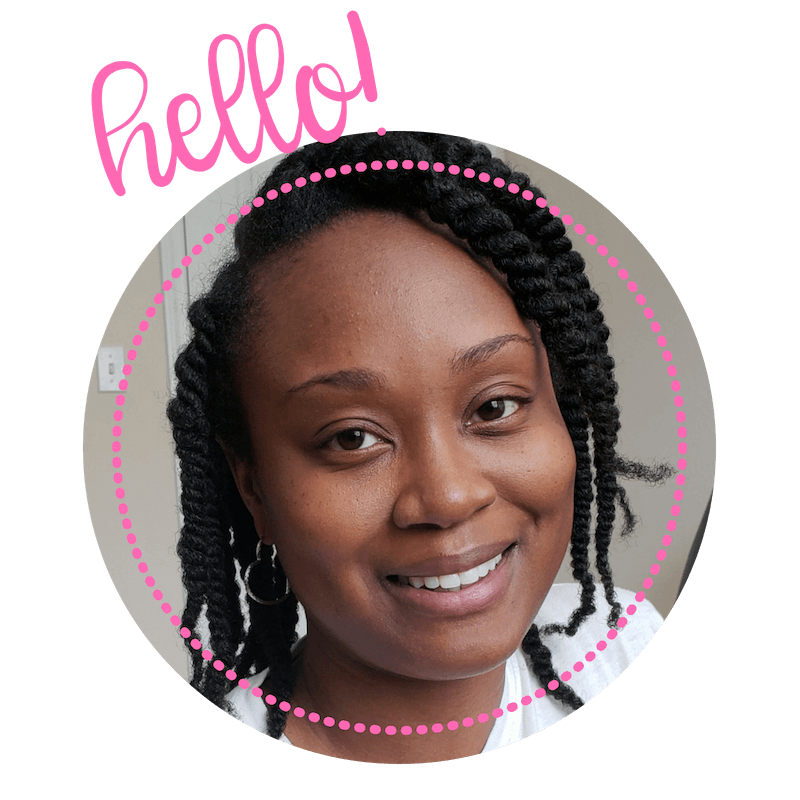 Here at Real Happy Mom, I have had Shauna from eNannyLink share her best tips for handling tantrums. She is an expert that has been working with children for several years. So she knows what she is talking about. 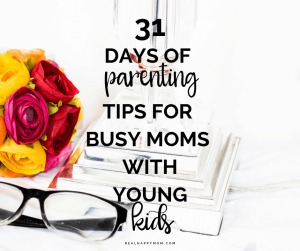 You can also try checking other mom blogs and even more helpful tips. One of the most direct sources for advice is you. Remember, you were once a child. Draw from childhood experiences. When I think of my childhood I remember my mom always seemed so calm. Even when my sisters and I were intentionally acting like crazy people. Now as a mom, I am amazed by her calmness. Think about when you were a child and what your parents may have done. Also, think about what did they did that you didn’t like. How did you think as a child? What mattered to you? Are there things that your parents did with you that you would do differently or the same with your own kids? Now try to think of a stage when you gave your parents a hard time? If you can, then you can understand why it’s happening to you and your child! Patience goes a long way in successful parenting. It is hard, but you can do it! Get feedback from your parents about how they coped with raising you. These tips will give you a good start with parenting. The reality is that each child is different and each parenting scenario is unique. Once you have a feel for the energy between you and your child, you can determine the most helpful approach. Try learning from others, keeping an open communication with your child, check out other parenting trends and using your own experiences from when you were a child. The mother and child relationship is special, and it comes very naturally. Avoid worrying about all the little things, and just do your best!